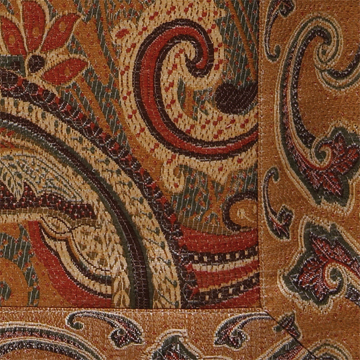 SDH Xerxes Coverlets & Shams - Swatches may be available. Framed, multi color paisley pattern. Xerxes is a collection reminiscent of rich tapestries of royal and ancient estates. SDH's Xerxes Jacquard is 100% Egyptian cotton and has a 775 thread count. Yarn dyed jacquard. Certified - OekoTex.